Paired with potato gnocci and braised vegetables, this recipe was the first thing I ever made from Mastering the Art of French Cooking. Pouring the bottles of beer in the pot was the most satisfying part of this recipe other than eating it. Beer does indeed make your clothes fall off. Or is that tequila? Either way, ropa vieja means 'old clothes' and the meat falls apart and soaks up all of the alcoholic goodness in the pot. Try it. I am not a fan of Mexican food. I never have been. But this meal was one of the best, most memorable meals I've ever had. I think it has something to do with the fact that I made it myself. The only part of this dish that has beer is the rice, but the tortillas and the fajitas are worth a look, too. A little fancy, but very easy to make. The perfect recipe for date night or "Impress That Potential Significant Other Night". The original recipe called for salmon, but I lightened it up with mahi. The beer is reduced to a mere two tablespoons, but there's plenty left for drinking while you're cooking. 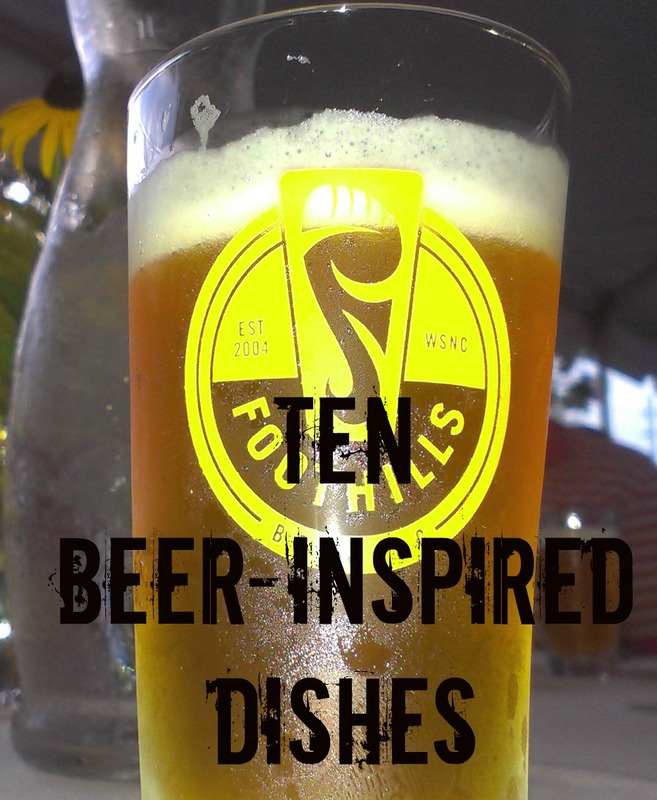 No recipes here, but the eight dishes were all inspired by and paired with craft beers from Carolina Brewery in Chapel Hill, NC and Brooklyn Brewery in Brooklyn, NY. For all of my creative readers out there, I'm sure you could come up with a variation of any of these recipes at the drop of a hat. Once upon a time, I was paid to develop some recipes using New Belgium's seasonal and regular brews. 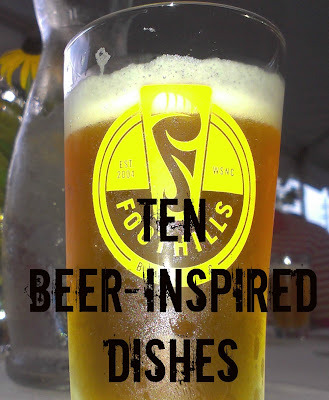 I drank, drank and drank my way through 8 different beers and I came up with a couple of recipes that you'll see if you click above. If none of those recipes inspire you to use beer, maybe some recipes from other food bloggers can trip your trigger. Thank you so much for the shoutout of my Beer-braised Beef & Onions!